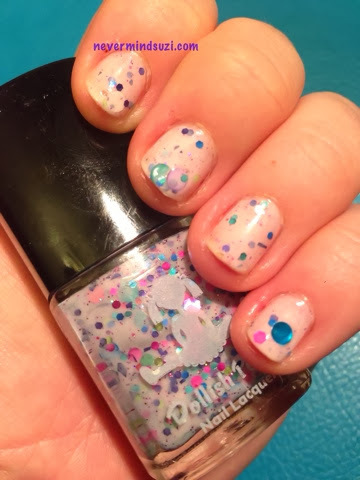 Here's a stand alone beauty from Dollish Polish on behalf of the upcoming Christmas season. Sugar Plum Fairy, a limited edition (and numbered, I got no. 6) sugary delight. Blush pink, full of candy coloured glitters. 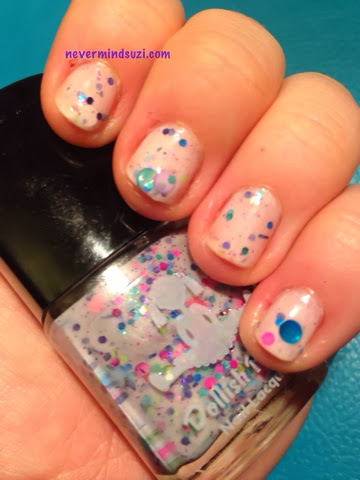 Blues, pinks, teals and holos. Throw in some blue dots and pink stars and sugary overload is what you've got. This colour builds up really well for a nice smooth finish. And the dots make this perfect for me.